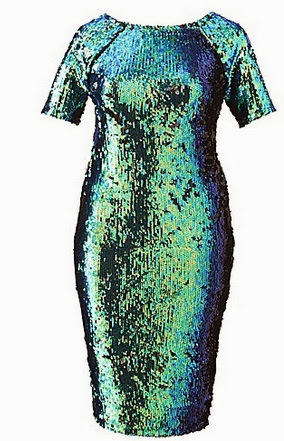 A couple of weeks ago I blogged about the beautiful green sequin dress that AX Paris have on offer this year - but I didn't post any full length pics because I didn't want to spoil it for my Christmas party! http://imawannabeprincess.blogspot.co.uk/2013/12/a-sequin-surprise-fat-mermaid.html if you want to have a nosey at the post! This weekend I spent the weekend with vodka, white wine and some of my beautiful friends - while wearing this amazing dress & wanted to share it with you. I know some ladies prefer to shy away from bodycon dresses, but I really can not recommend this dress enough. 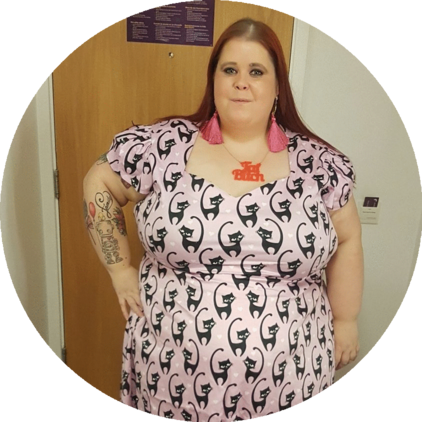 Although it is is bodycon and quite tight, it is made from a nice thick material so I don't feel it clings everywhere, which is what many people don't like about body con dresses. The sequins are beautiful and I have yet to see this dress look bad on anyone - and if you follow any bloggers you'll see that it's a popular one! If you're looking for a sparkly dress to wear this festive season I really can't recommend this dress enough! It's lovely! 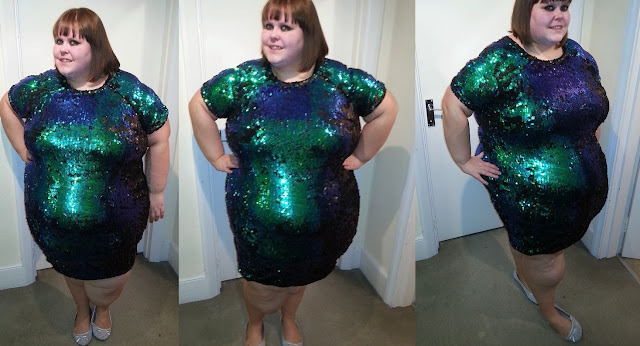 A Sequin Surprise - The Fat Mermaid! You probably know by now, when it comes to clothes - I love colour, I love shape and I love sparkles. When I first saw this dress on the Fashion World website, I loved it. It is everything perfect about a dress for the Christmas season - I was well and truly smitten! 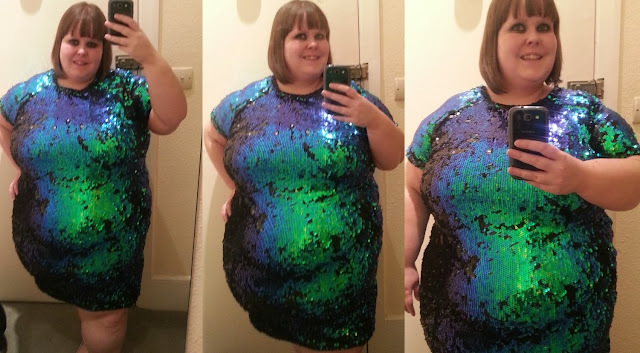 It seemed like the rest of the fatshion world was too - as blog posts, tweets and instagram posts came flooding in about the 'mermaid dress' and everyone was in love with it! A few weeks later, Fashion World contacted me and kindly offered to send me a dress of my choosing from their Christmas party dress range. I browsed through and there were some LOVELY offerings, but nothing that quite matched up to the mermaid dress that I had been lusting over! So.... I asked them to send me it - and I can tell you now, I was not disappointed! Yes, the dress is bodycon, yes its covered in sequins which make a sound every time I move, yes it's green, yes it's short - but it is love! I plan to wear the dress to a Christmas party, so I don't want to share photos of the whole dress just yet. So instead, here are some selfie photos of it - so you can see how happy I am with it! When it is styled properly, for the party in a couple of weeks I'll take some proper Outfit Of The Day posts so you can see the full thing. They didn't have my size of dress, so I have sized down. This means it is a little shorter than on the models in the photo - but I don't mind that! It is quite tight (more than likely because of the sizing down) but it is fully lined and made from a thick material, which means it gives a nice shape rather than just clinging everywhere, which I know lots of people aren't keen on! If you're looking for a Christmas dress to make you stand out this Christmas, I can not recommend this dress enough!! You can buy the AX Paris dress here. 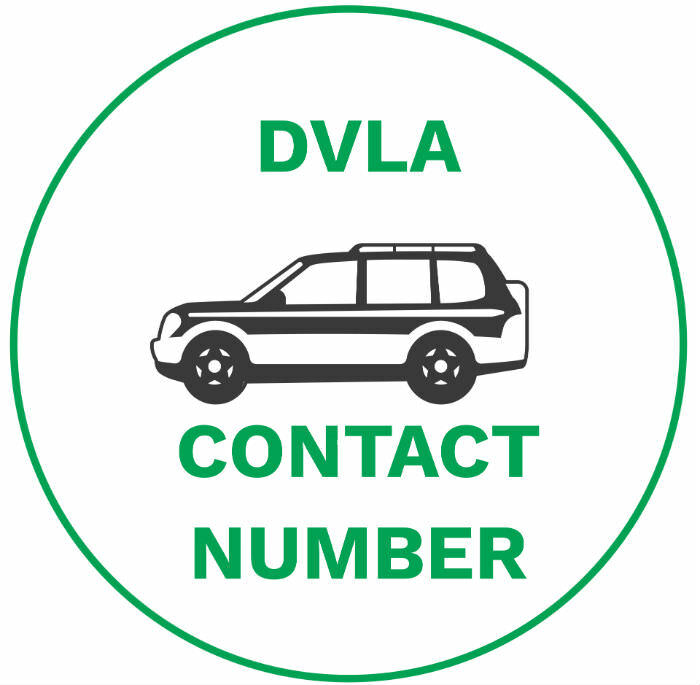 Have you have any exciting purchases for the festive season?